You may have noticed, I haven’t done any holiday shows (yet) this year. That’s because I am simply up to my eyeballs in other, marvelous commission projects. (More about that in a minute!) But I wanted to let you all know that THIS SATURDAY is the only show I’m doing this season — Second Saturday Artwalk in Ballard. This is your one-and-only chance to come get jewelry from me in person this year! 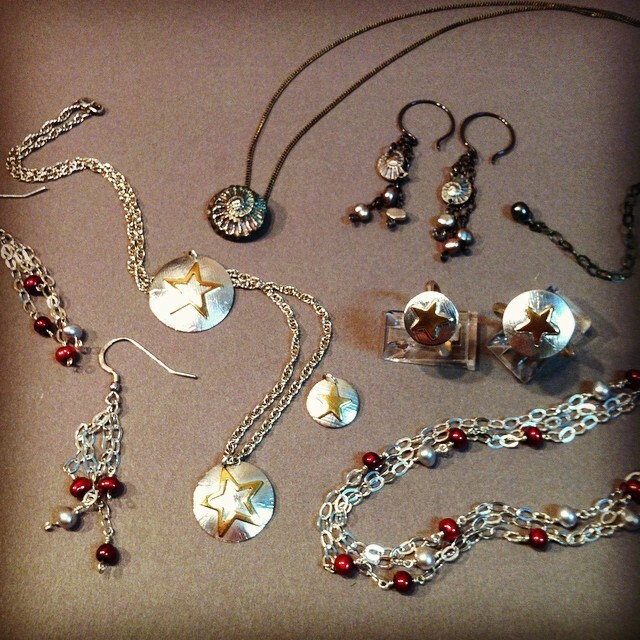 Some old favorites from Peggy’s jewelry line: Gold Stars, Ammonites, and pearls. 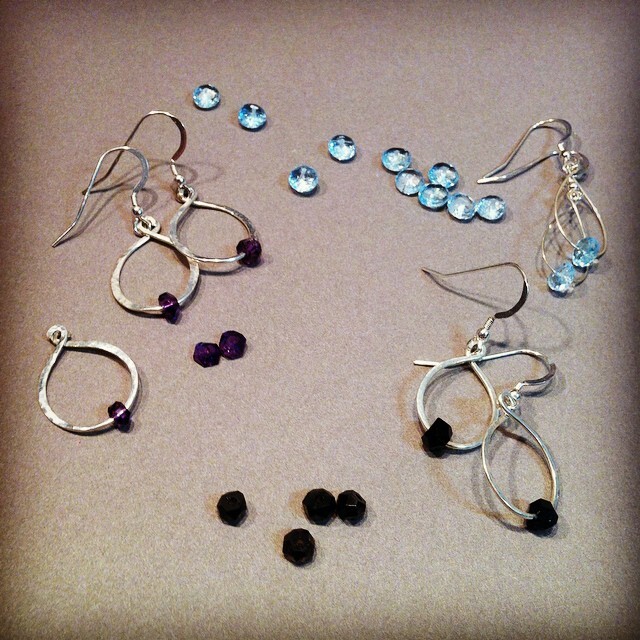 New gemstone earrings by Peggy Foy, in topaz, amethyst, and smokey quartz. This past fall was a very busy one: I taught two new workshops, plus a new format for my Beginning Jewelry class, and I was in a show in Tacoma! But now I am totally focused on the work on my bench: I feel incredibly lucky to be working on some special commissions that are both artistically and technically challenging. It feels really good to be pushing my skill level! For example: last night I actually did some engraving. I have frequently told people “I don’t do engraving;” but there was really no other solution for the problem at hand. My two smallest gravers were broken from my previous ham-handed efforts; but, last night I successfully sharpened them by hand, and then hand-engraved a design onto a tiny 2mm wide strip of silver. I’ve also been up to some soldering and hand-fabrication wizardry; and next, I get to push the boundaries of my stone setting capabilities. AND MORE – there’s stuff i can’t even talk about yet. I have so much squee for the projects I am making, and they are all destined for some wonderful, sweet, (and deserving!) people. I can’t wait til they’re done and I can share them! 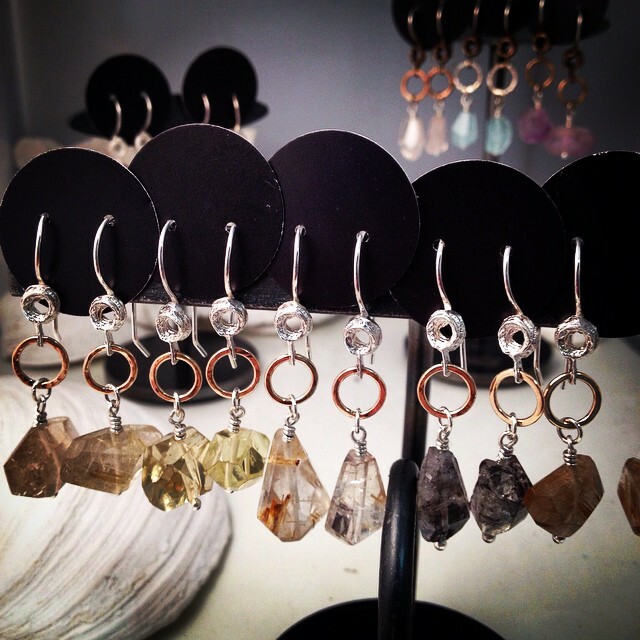 If you’re craving some jewelry but can’t make it this Saturday…. stay tuned, because there might, just might, be a special coupon code for my Etsy store starting Sunday. Of course not everything is photographed and listed online yet, so come see me at Building C for the most options! ← Artist Trust EDGE at Port Townsend!